‘Venice is notorious for its lack of nightlife’ – Boy did we prove this statement wrong! 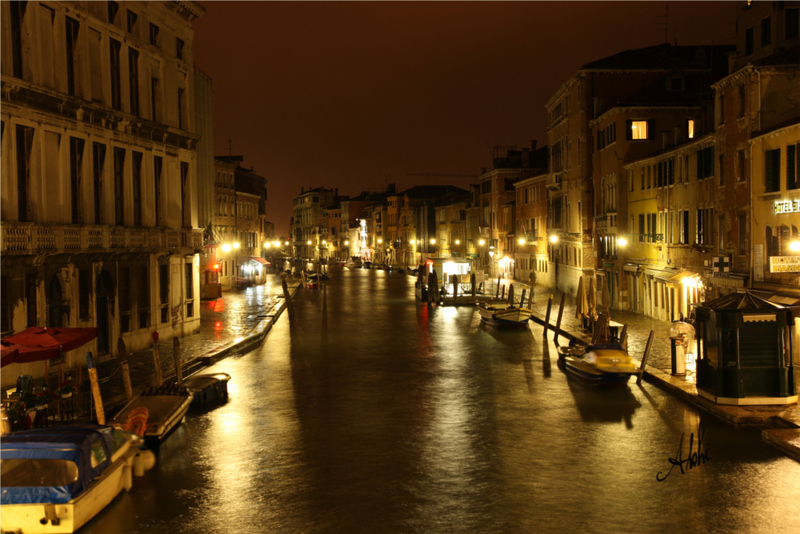 You must experience Venice after dark, the city is quiet, calm and minus the masses of tourists. Opening up a whole new world; whilst you’re wandering aimlessly in the dark through the labyrinth of winding streets. It brings a sense of excitement about what you will encounter around the next corner. Venice has the reputation of being shut down early, with restaurants and bars being closed down as early as 10pm. This is not true at all, we visited in November being classed as a quieter month and this is not the case. Many opt for a relaxing gondola ride under the moon light sky. Although they cost lots more after dark, this is a must for visiting romantics. Experience the splendour of Venice at night with a guided walking tour, learning about the history and top sites. Many companies offer these tours. 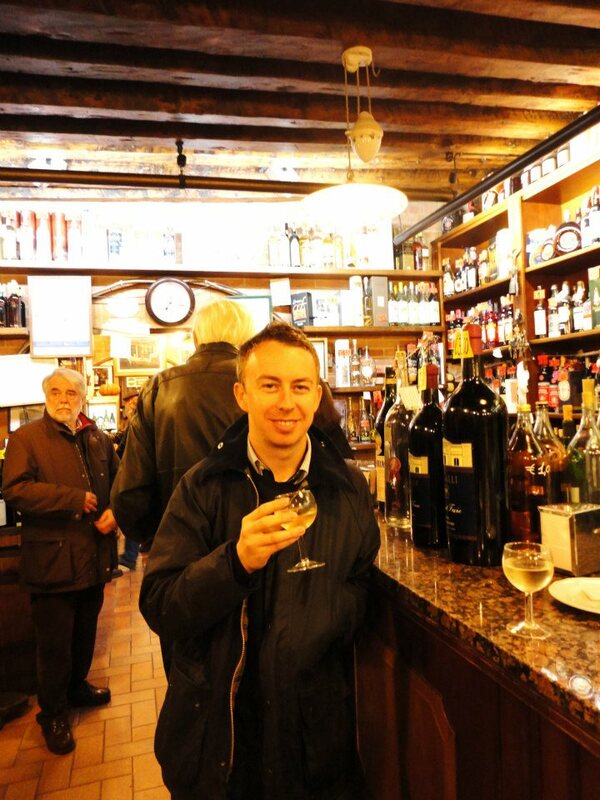 Find little, hidden bars enjoy a local wine and sample cicheti (tapas like bar snacks) like the locals do. Enjoy a full Italian candlelight dinner under the stars, move a little away from the famous sights such as St Mark’s square and the Grand Canal and you’ll discover more charming romantic corners. Dance until sunrise in a number of wild clubs the city has to offer. Many don’t favour this option, as a full days sightseeing take its toll on you. 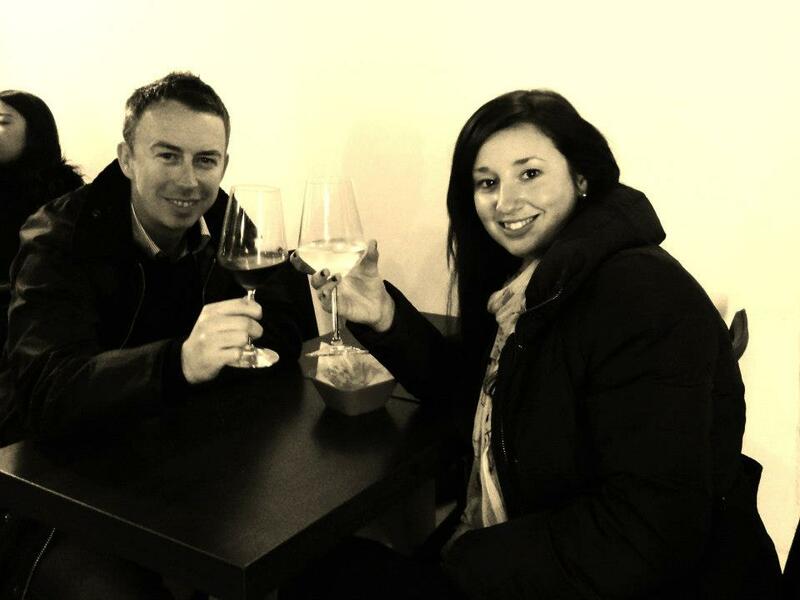 We decided to have a crazy night out, visiting the ‘Casino Divenezia’ for a splurge after it had being recommended. The building was beautiful and we were greeted with a smile and no dress code is needed here either! Entrance registration is free because you get back 10 euro to try your luck. Being a total beginner to the gambling world, I had such fun. The main room upstairs had a few tables and there were a few smaller rooms with machines with all sorts on. One of our favourite places earlier on in the night was the trendy Hilton hotels ‘Skyline Rooftop Bar’ situated on ‘Giudecca Island’, just 5 minutes away across the water. 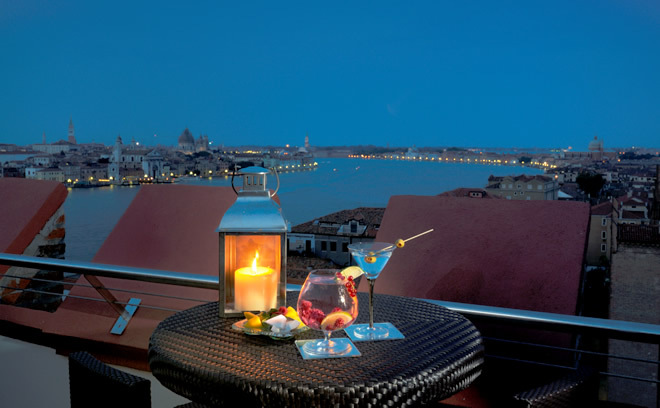 The bar’s located on the roof top of the hotel, offering breath-taking views of Venice at night. 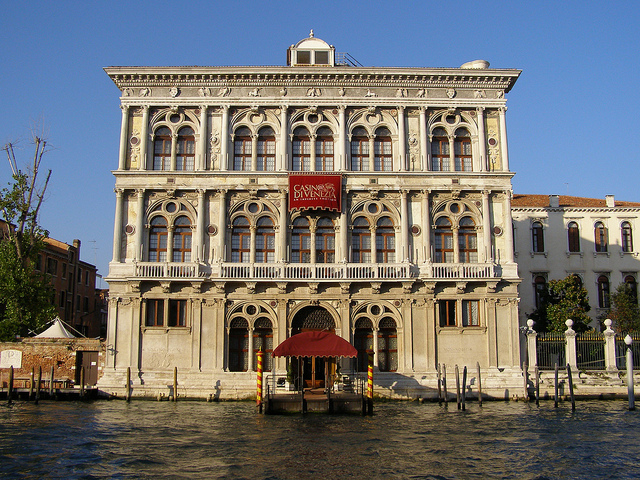 It offers a free shuttle boat to and from Venice. The perfect place to share a bottle of prosecco, whilst gazing out at the night-light sky of Venice. I could not get enough of Venice and loved every moment I was there – exploring the city at night was both exciting and utterly enchanting! Oh, I love Venice. Wonderful pictures! thanks for the like on my blog! I agree with you wholeheartedly that one can never get enough of Venice! There is something truly magical in the air in Venice.. pretty much Italy, on a whole, but especially Venice. Thanks for following us on Twitter! Really interesting to read your perspective on Venice – it’s a very unique place with lots more to it than many realise, as you pointed out!